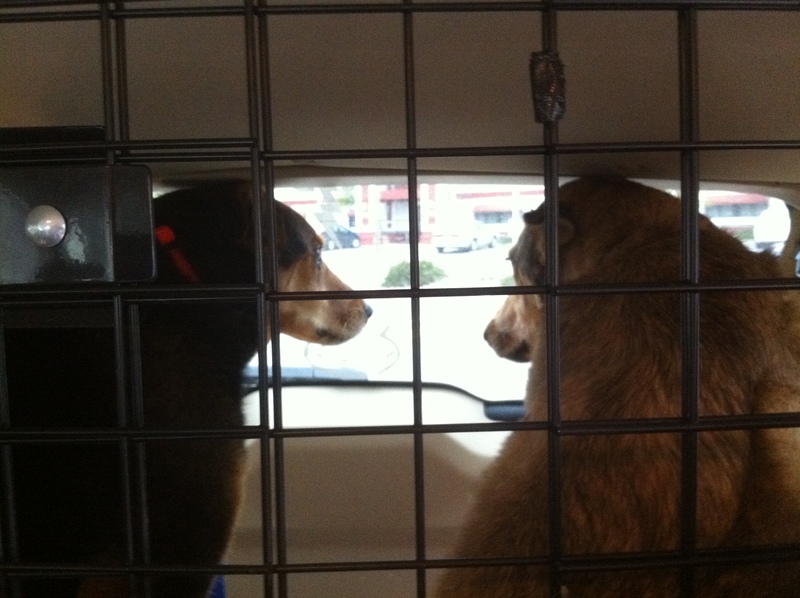 My dogs, Elvis and Cilla, and I left Memphis Saturday May 14 at 9:45am CST. We drove across the route 55 bridge for fear that parts of route 40 were flooded, as the Mississippi River had overflowed onto Beale Street. We passed through Bono, Arkansas about two hours later. 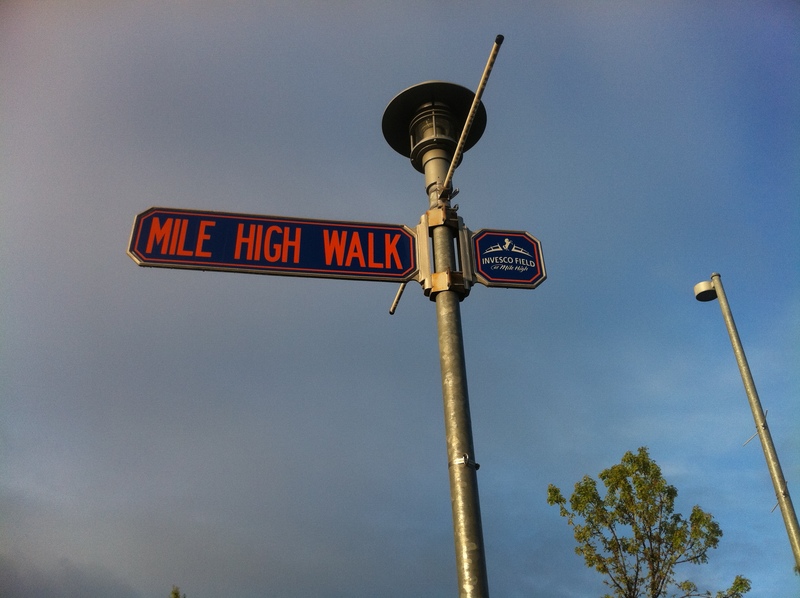 A nice reminder of our trip ahead – too bad I didn’t get a picture. There was a lot of construction, but luckily not a lot of traffic since it was Saturday. We drove up 63N through small towns that had ‘filling stations.’ We travelled through the Ozarks and stopped for the night in Independence, Missouri right outside of Kansas City – stayed at the Motel 6. It was a cold 52 degrees, windy and cloudy. We had driven 455 miles and it was 5:54pm CST. I ordered a pizza from Minsky’s, which claimed to be KC’s best since 1976, and it was very good and cheesy. I had the idea of getting pizza in every city I stopped, but that didn’t really happen. The next morning I left KC at 6:30am to drive about three hours north on route 29 through Iowa to meet Mom and Aunt Pauline in Omaha, NE. 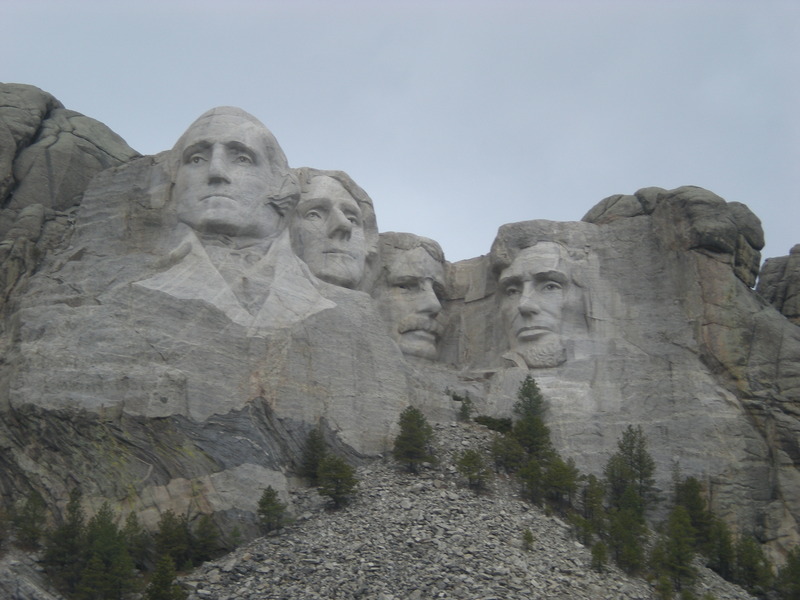 They were going to be with me for the first two weeks of my trip – not going to the concerts, just sight seeing. It was a nice, easy drive. I passed by Kauffman Field (KC Royals baseball) and Arrowhead Stadium (KC Chiefs football). I was freezing, but tried to remember how cold I am when I’m in miami for the U2 show on June 29th. I arrived in Omaha just after 9:30am, got settled into the Sleep Inn and Suites hotel by the airport and waited for Mom and Aunt Pauline’s plane to arrive. 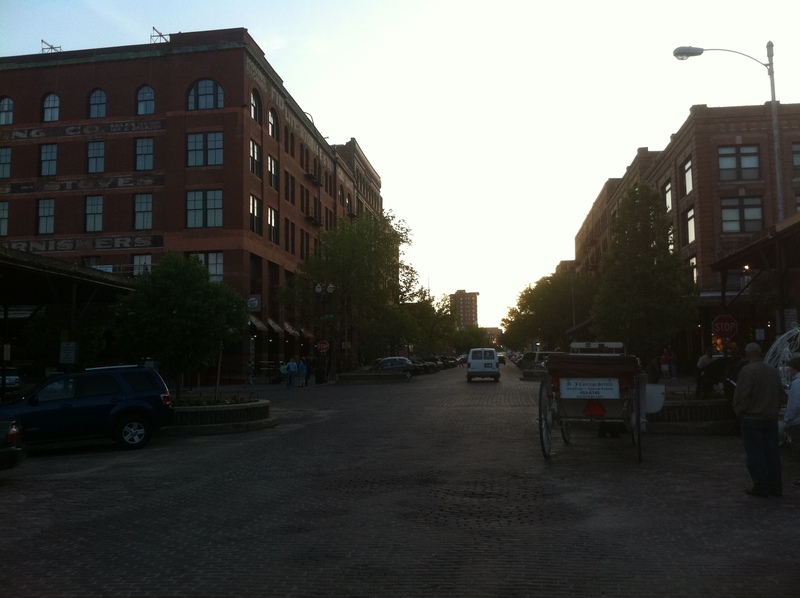 We then went to downtown Omaha, actually it was called Old Market Square. It was a really cool place with lots of shops, bars and restaurants with cobblestone streets. We had a great lunch at Upstream Brewing Company. And only the second day of my trip, and I’m eating meat which I hadn’t had in well over a year. But it was a really great reuben sandwich, which apparently started in Nebraska. After lunch, we went back to the hotel to relax and then went back to Old Market Square for dinner. It was the only place we knew how to get to and it was close. We ate at the Twisted Fork, and I had a cheeseburger. I felt guilty, but it sure tasted better than a veggie burger – I was in cattle country so when in Rome. 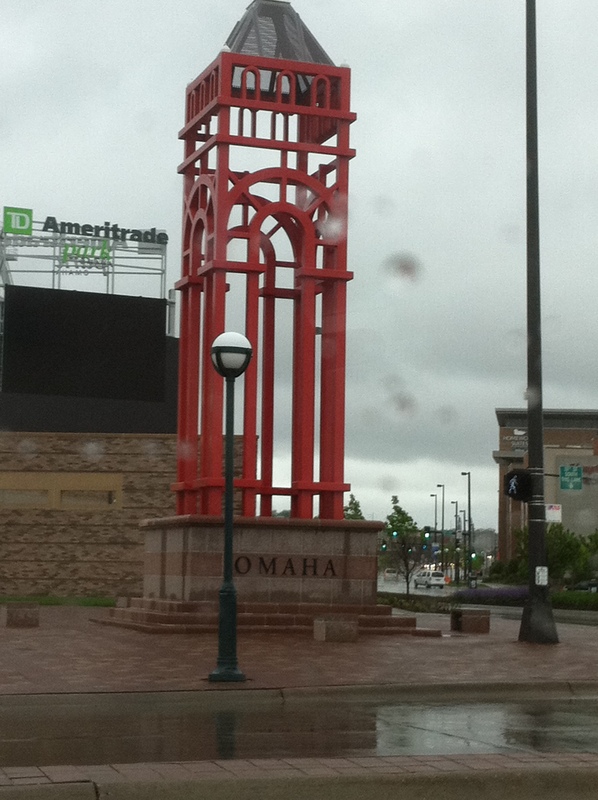 So I never tried pizza in Omaha – there went my pizza in every city quest. 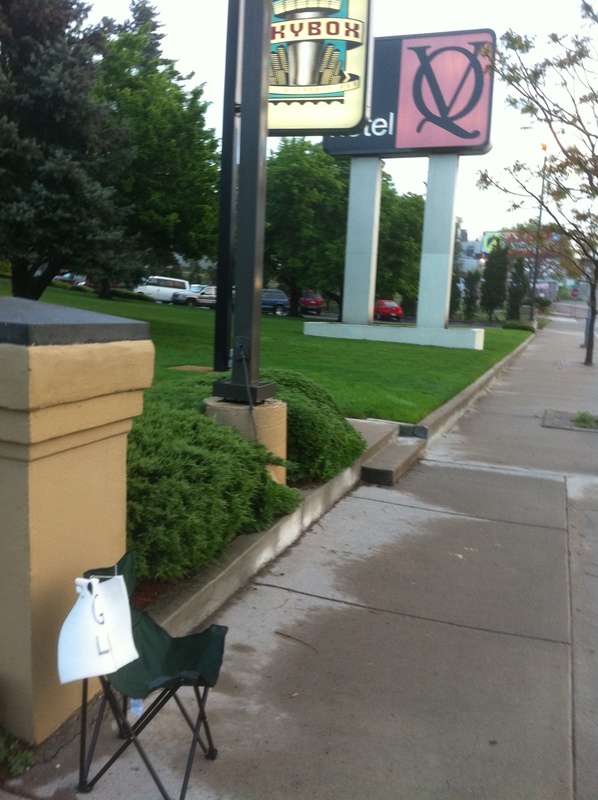 It was tough night in that hotel room in Omaha. Only my mom, Elvis and Cilla slept. My aunt and I talked, ate, read and watched tv. Luckily this was the only night we would be sharing a room, or so we thought. 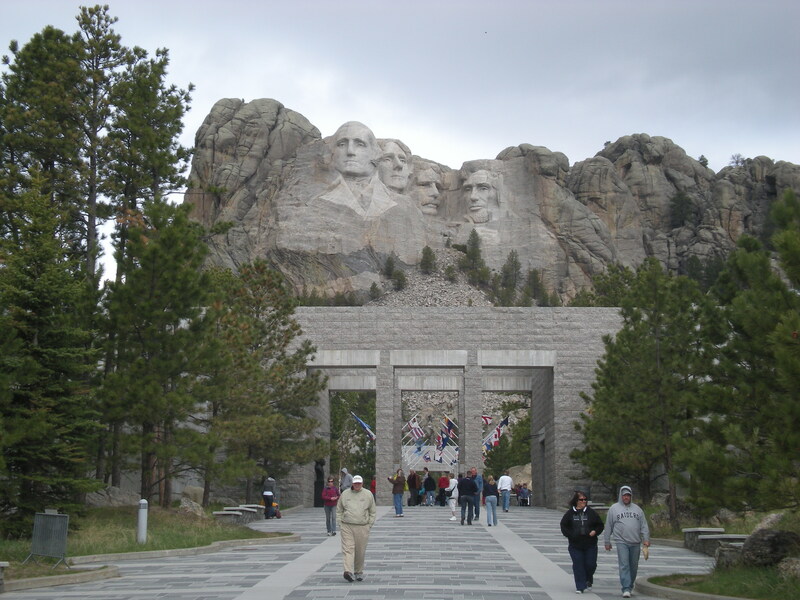 We left Omaha Monday morning at 8am, stopped at Subway in Iowa for breakfast, a Cracker Barrel in Sioux Falls for lunch and then arrived at our hotel the President’s View Resort in Keystone, South Dakota 548 miles later at 5:30pm MST. 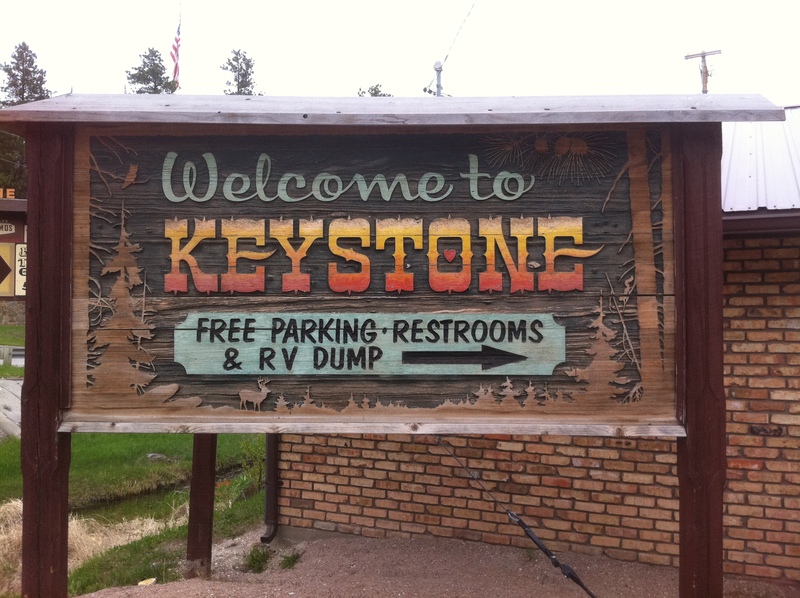 Our hotel overlooked the town of Keystone, which looked like an old western town. 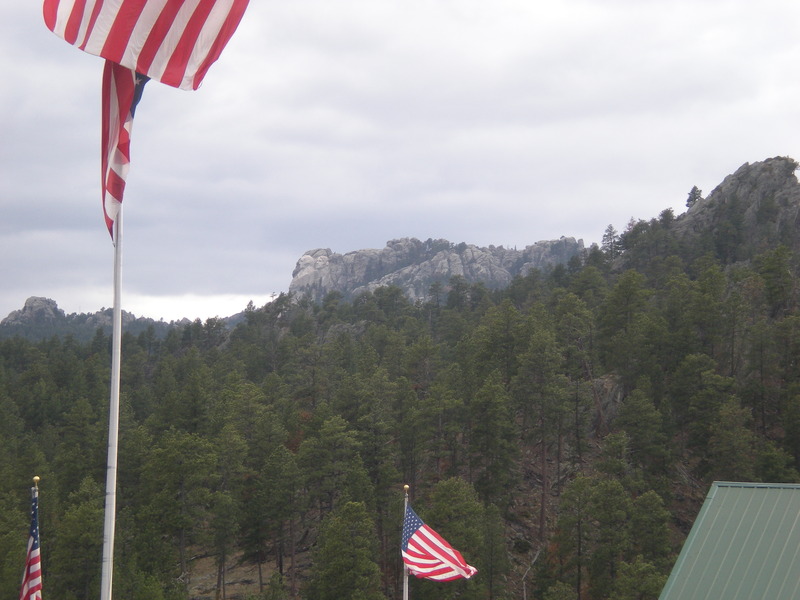 From my Mom and Aunt Pauline’s balcony, we could see Mount Rushmore in the distance. 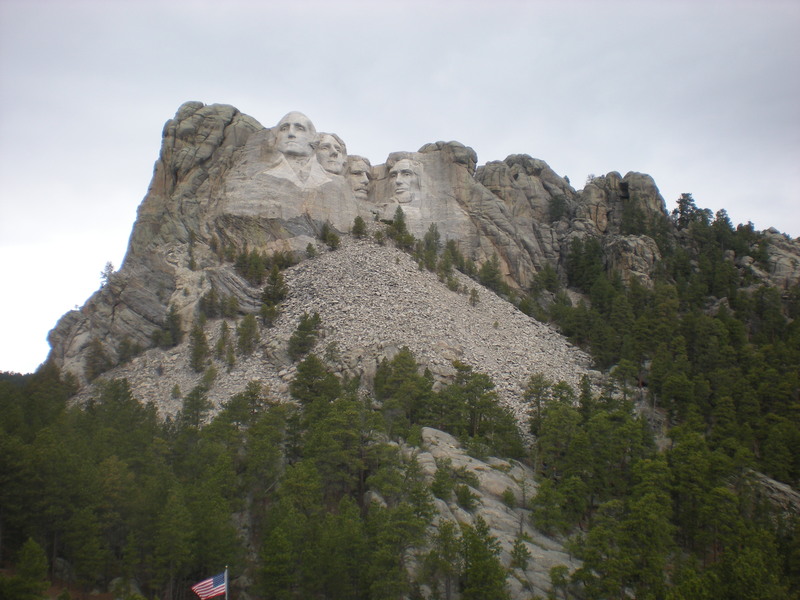 Mount Rushmore was the first place I planned on visiting on this trip since I first planned it back in 2010. My room was around the other side of the hotel on the first floor – the pet rooms. 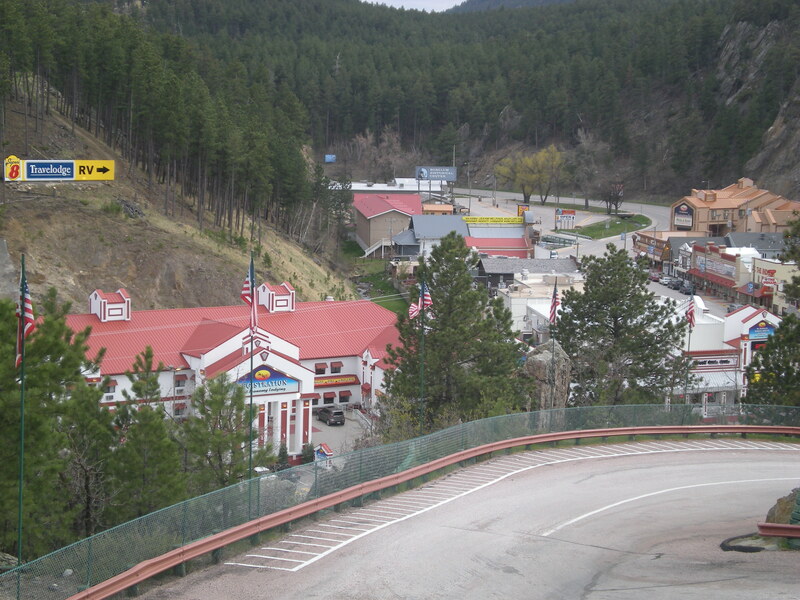 After settling in, we drove down the steep hill to Keystone and had dinner at the Railroad Family Restaurant in Keystone – it was not very good. I got a great night’s sleep – a solid 6 hours. It was light out at 5am and cold, windy and rainy. 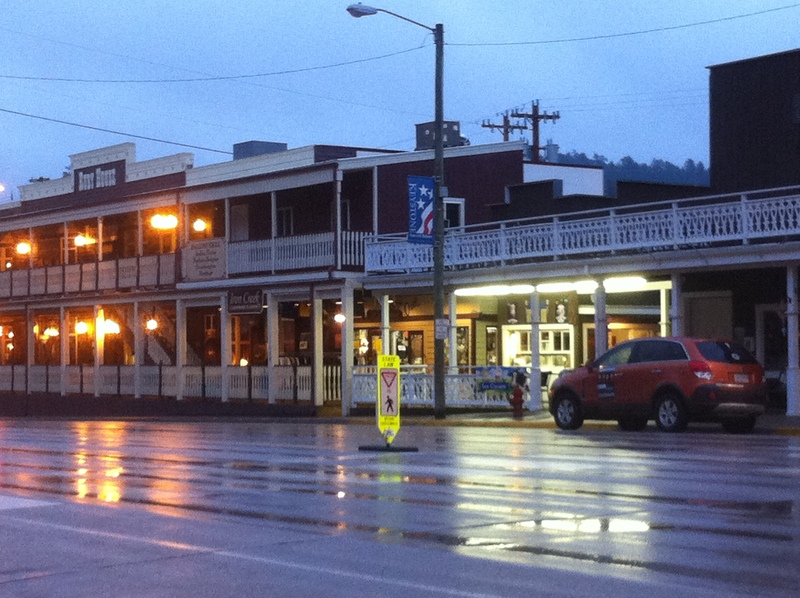 We had breakfast at 1880 Keystone House down the hill. It was an ok buffet, but cheap, quick and close – may favorite. If I was alone, I would just eat a cereal bar and be on my way, but Mom and Aunt Pauline like real meals in real restaurants. 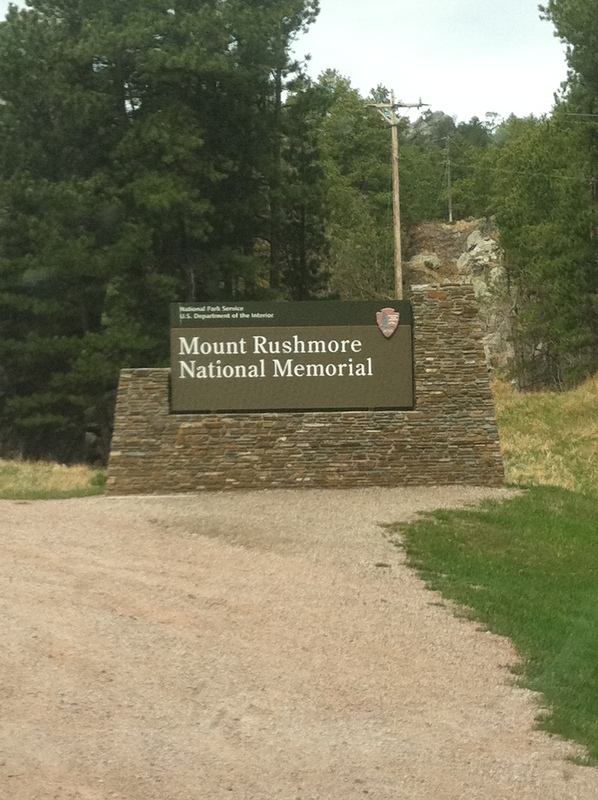 After breakfast, we were off to Mount Rushmore! I was so excited! We arrived, and I looked up and it was just magnificent! Undescribable and hard to imagine unless you’re actually there. It was everything I thought it would be and more. 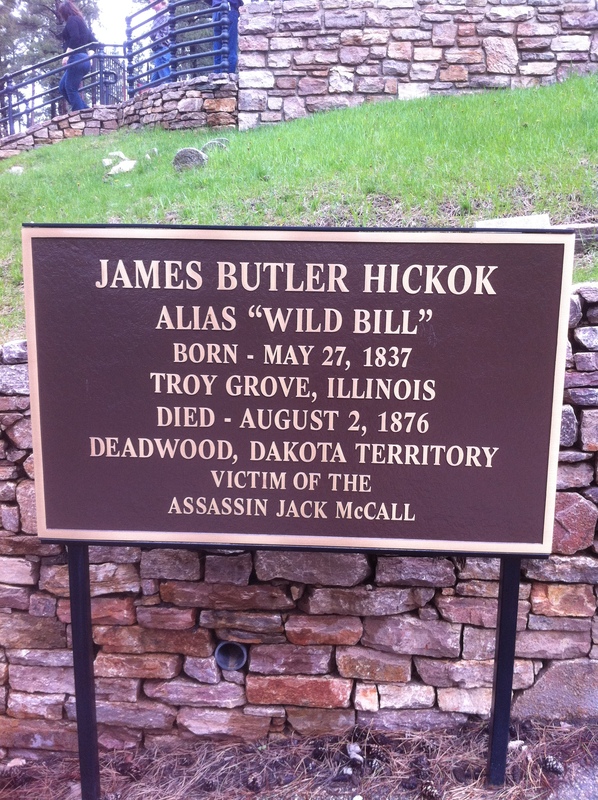 I didn’t know there was a park around it that you could walk through called President’s Trail, which we did – even my mom. There were book shops, museums and a café. 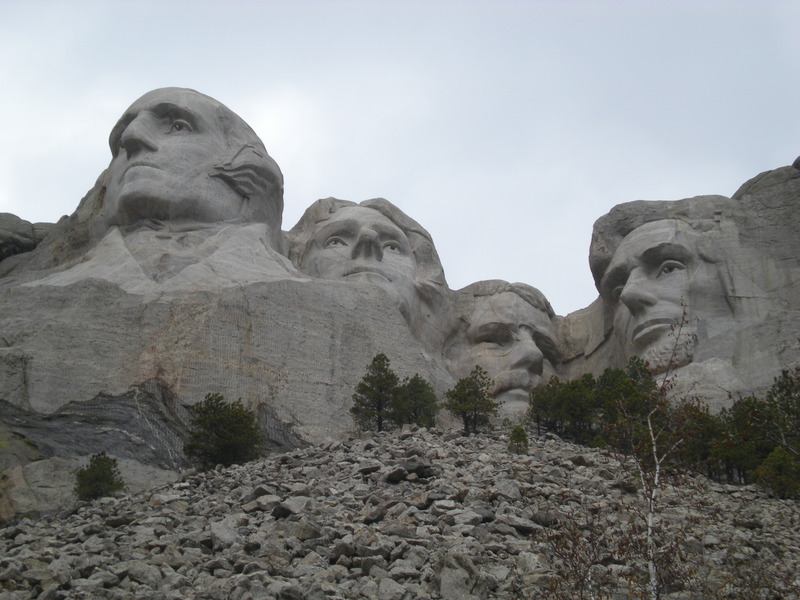 I was wearing my U2 I’ll Go Crazy shirt with the 4 faces of U2 on it and a guy asked me if I was wearing a Mt Rushmore shirt – because it sort of looked like the faces on Mt Rushmore. 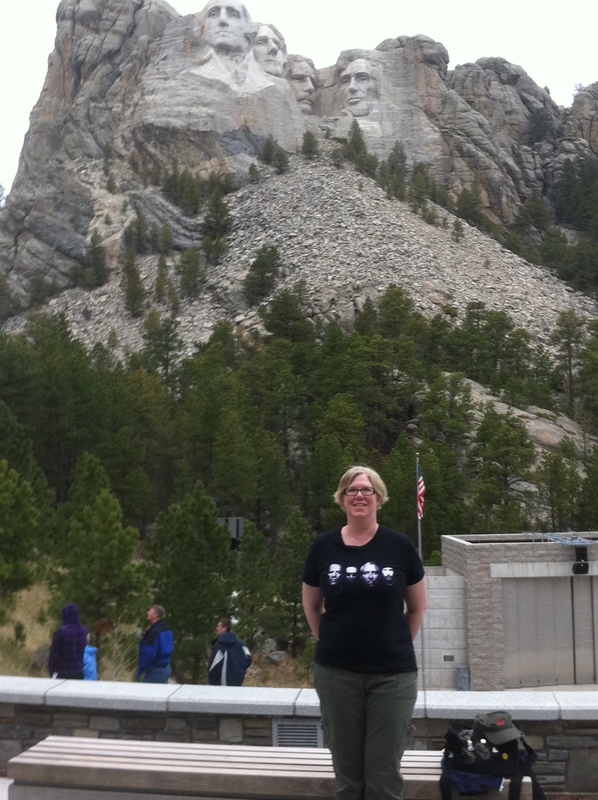 Well that gave me the idea to take a picture of me wearing the four faces of U2 in front of the four faces of Mt Rushmore. I just wish I had either left my hat on or combed my hair out. I bought many souvenirs, but no tee shirt. I swore I wasn’t going to buy any tee shirts on this trip, but I broke that promise to myself later. 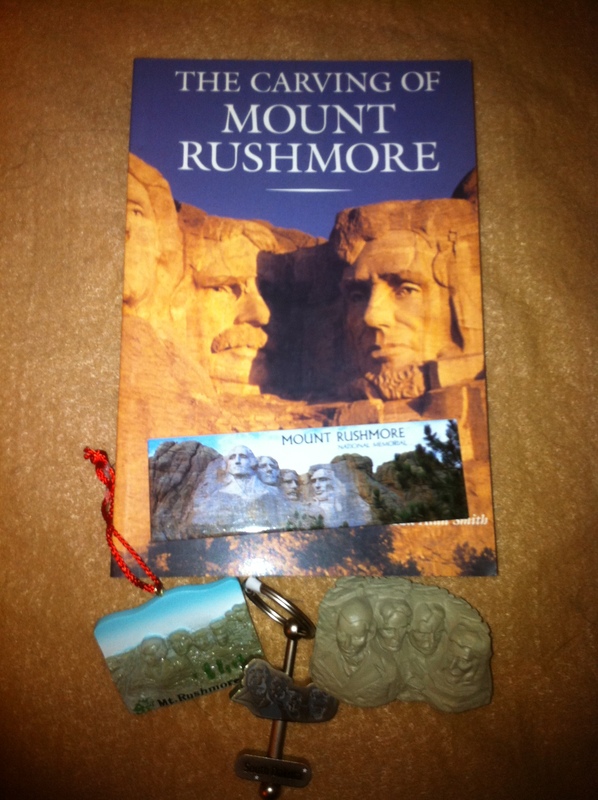 I bought a keychain, a magnet, a small model of mt rushmore and a book about the making of mount rushmore. Buying books from everywhere we visited came to be my new souvenir, as were magnets because they are easier to display than keychains – my previous souvenir of choice. We had a great lunch at the café with fantastic customer service. 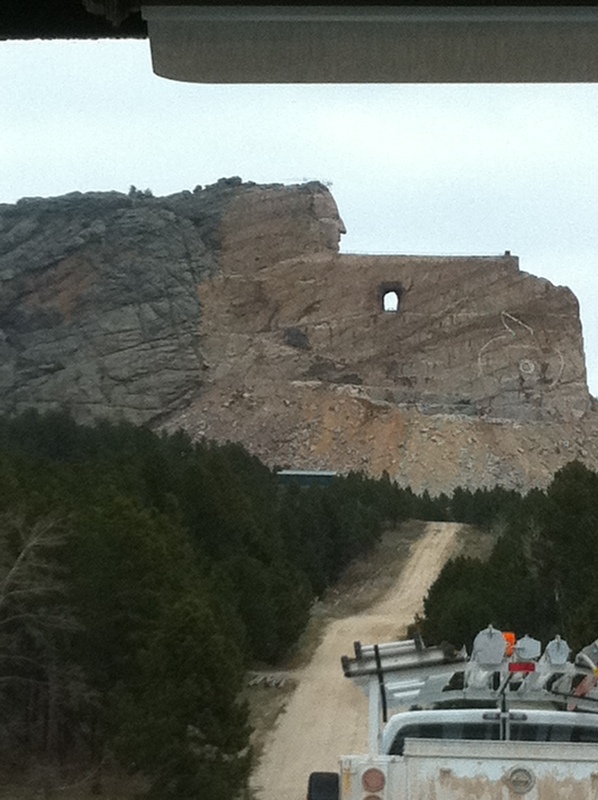 We left Mt Rushmore for Crazy Horse. 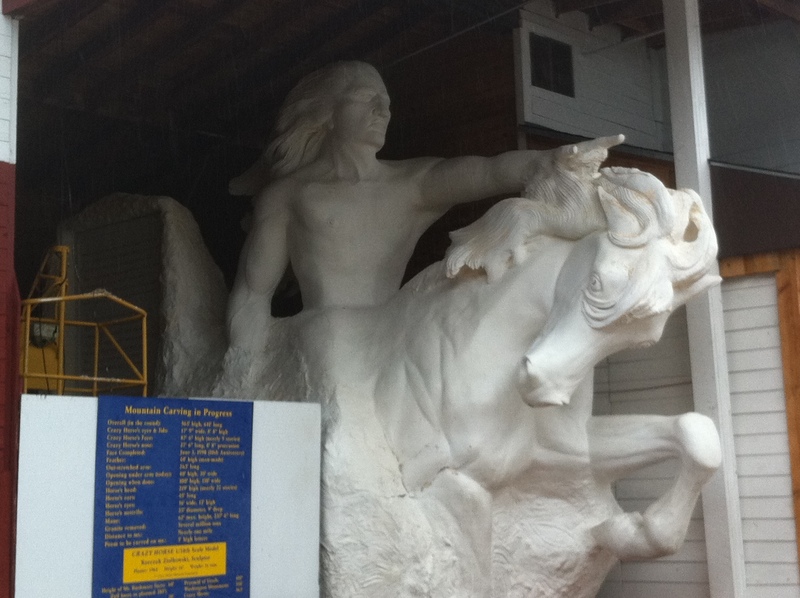 I didn’t know much about Crazy Horse the monument or the history of the actual Crazy Horse. It was quite fascinating. 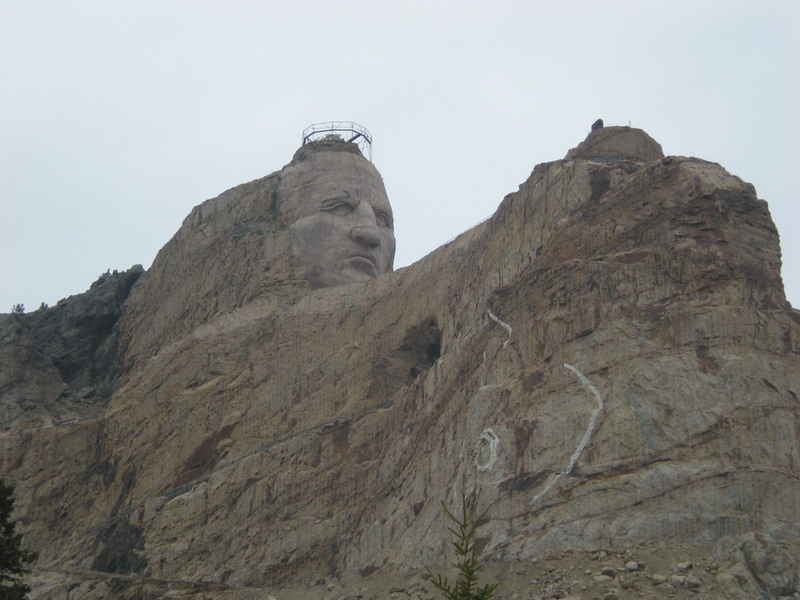 It is the largest monument in the world, and still isn’t completed yet. The guy who started it and made it his life’s work is now dead, but his family keeps working with no money from the government. We started off in the visitor’s center, then took a bus up to the actualy monument, then back down to the musuem and gift shop. 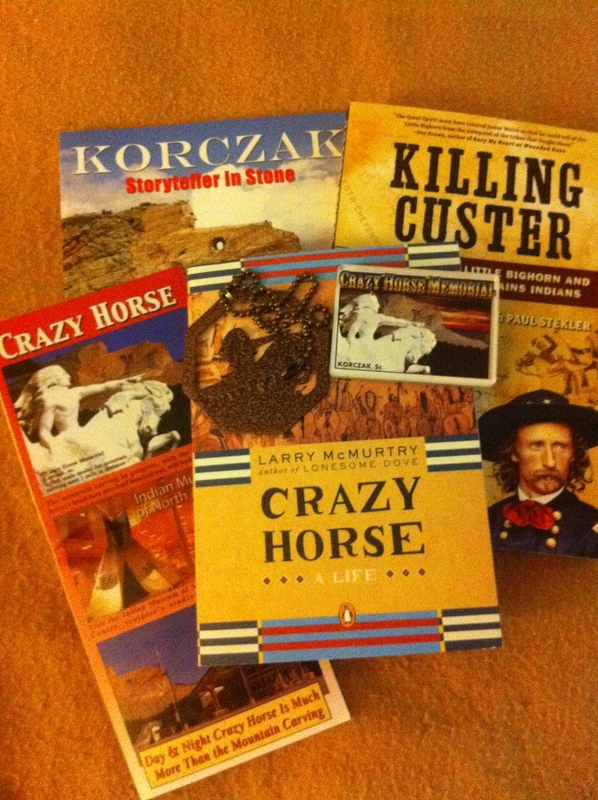 I bought books, a magnet and a christmas ornament from Crazy Horse. 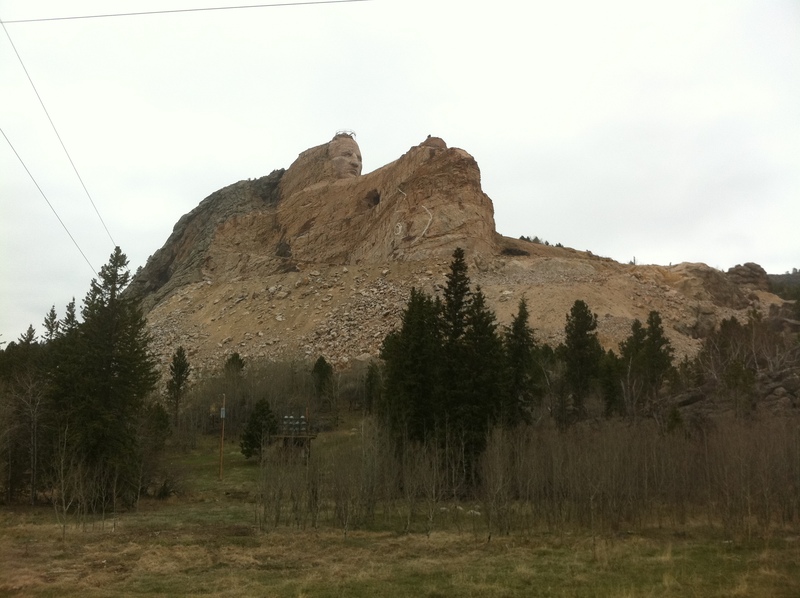 We decided to, or really I decided to, continue the loop around back to our hotel through Custer National Park rather than turn around and backtrack the way we come. I thought we would see more that way. We surely did. It was the scariest, windiest, loneliest drive – or so we thought. We drove for what seemed like hours in the middle of nowhere through hairpin turns. We didn’t see any other cars. 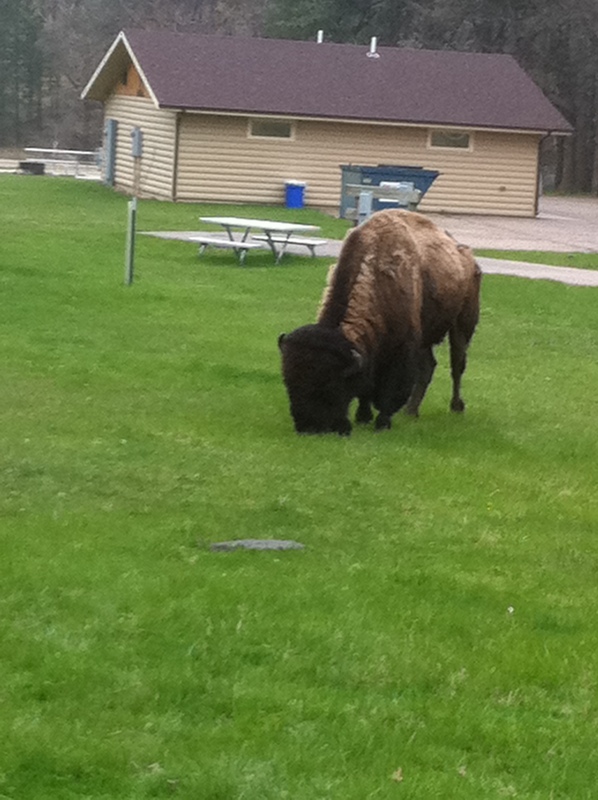 We did see buffalo though. And one looked me right in the eye and was going to charge the car. I was freaking out, so I did a 360 and got out of there quickly. After a lot of tears and laughter, we made it back to our hotel. 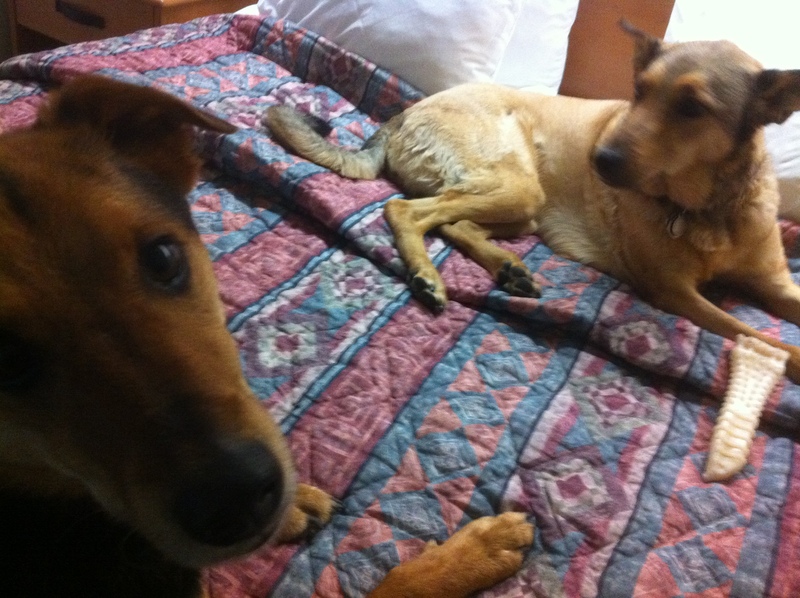 And to my surprise, Elvis and Cilla were fine and no one complained that they barked while we were gone all day. 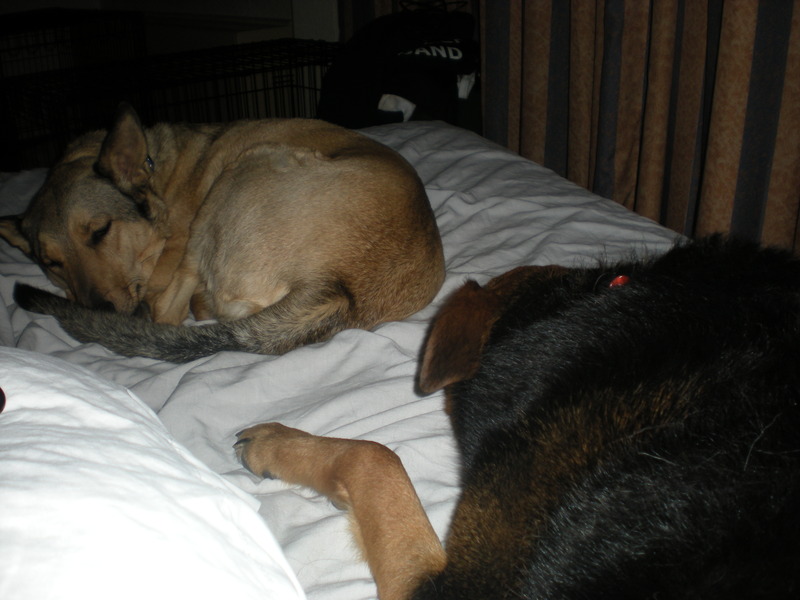 This was a huge relief to me because that was my only concern about this 3 months road trip, but now I knew I could leave Elvis and Cilla in the hotel room all day and they would be fine. We went down to Keystone for dinner to Ruby’s Brothel. 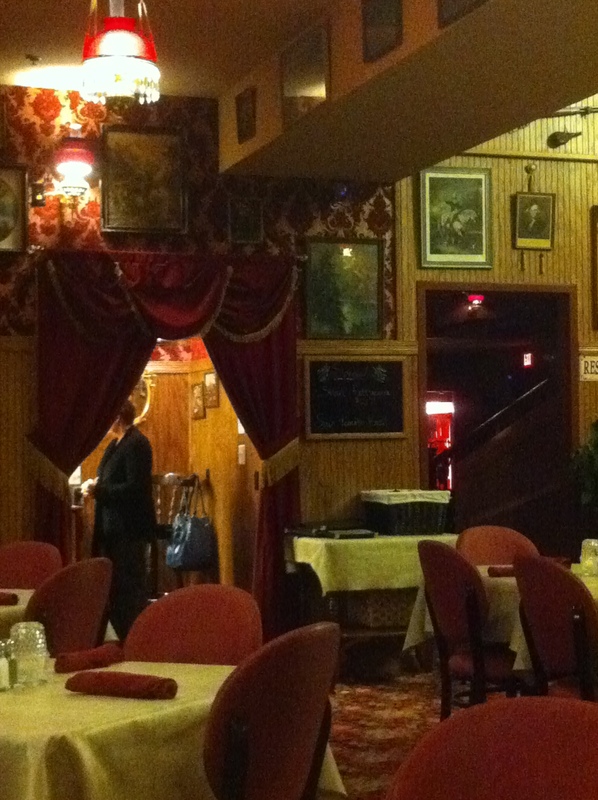 It was a great restaurant that used to be a brothel and still had red velvet on the walls. The food was fantastic. I had the most amazing salmon en croute. Wow! 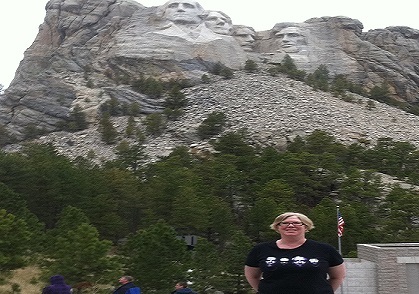 After visiting Mount Rushmore, I didn’t care what we did the rest of our time in South Dakota. 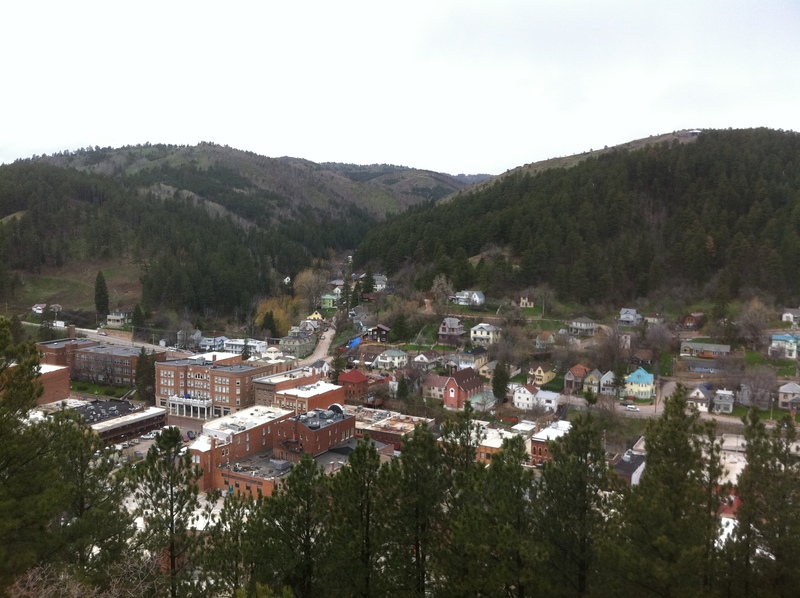 We decided to go to Deadwood and Sturgis on Wednesday. We had breakfast at that same little restaurant with the ok buffet. 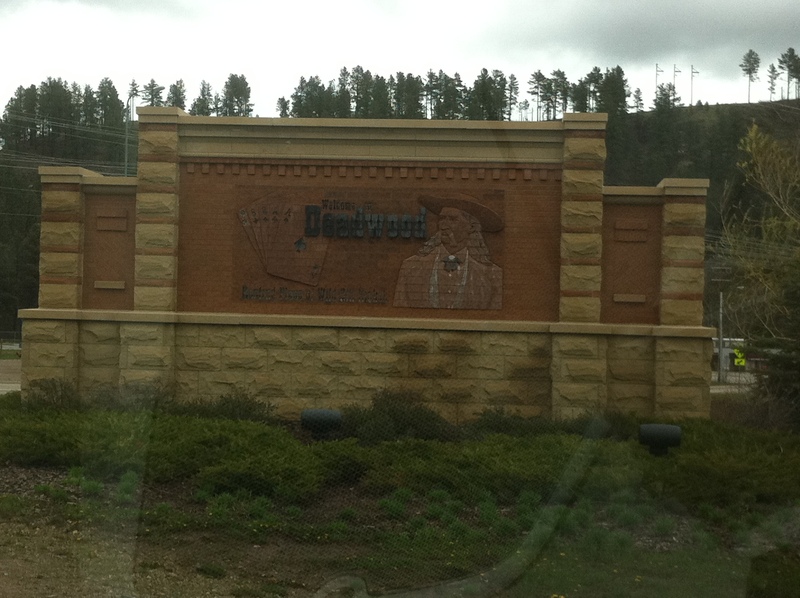 Deadwood was not what I thought it was going to be. I pictured it as this old western town, and it sort of was but a little too modern. 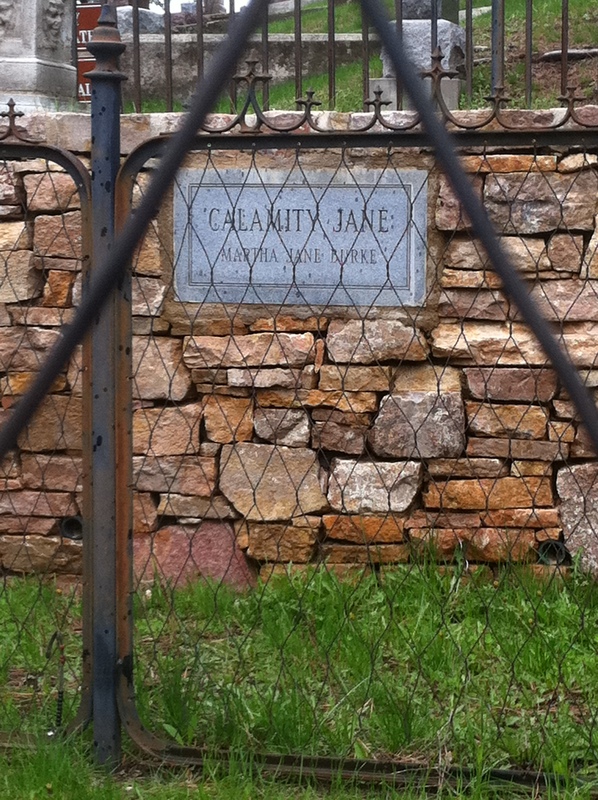 We first stopped at the Mount Moriah Cemetery where Wild Bill Hickock and Calamity Jane were buried. 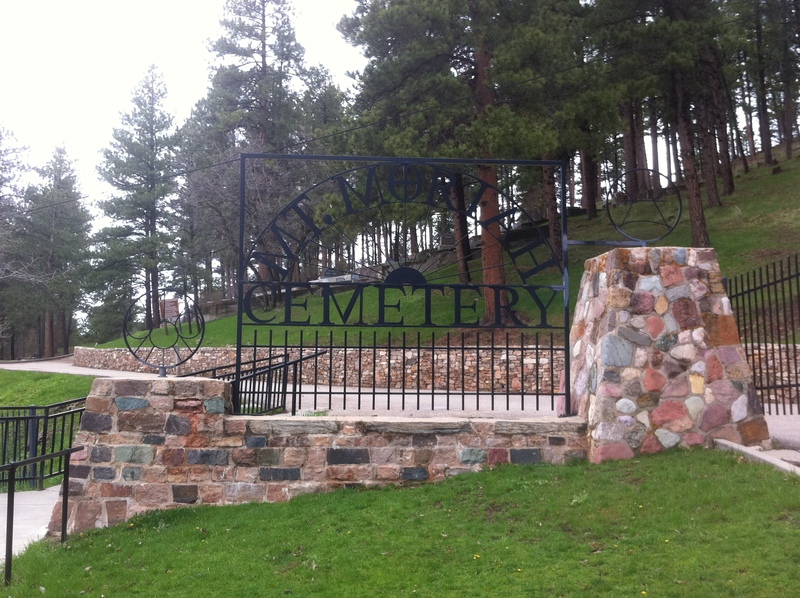 It was a great old cemetery. 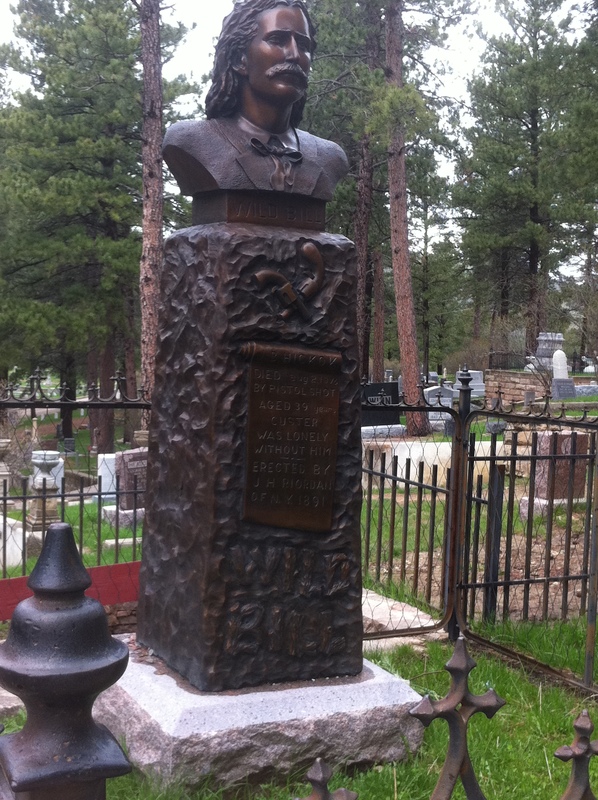 I don’t know why I’m so attracted to cemeteries – maybe it’s the history. 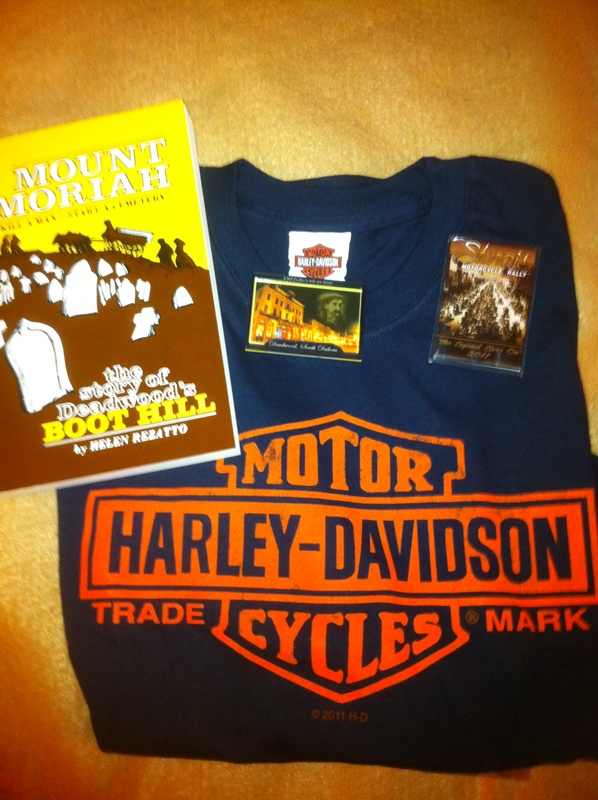 I again bought a book about the history of Deadwood and Mount Moriah as my souvenir. The cemetery overlooked Deadwood. We drove down and parked in a garage and walked to all the casinos, bars and restaurants. We played the slots at Bullock’s Hotel and Casino. I didn’t want to play too much, or lose too much, as we were going to be spending five days in Reno soon. 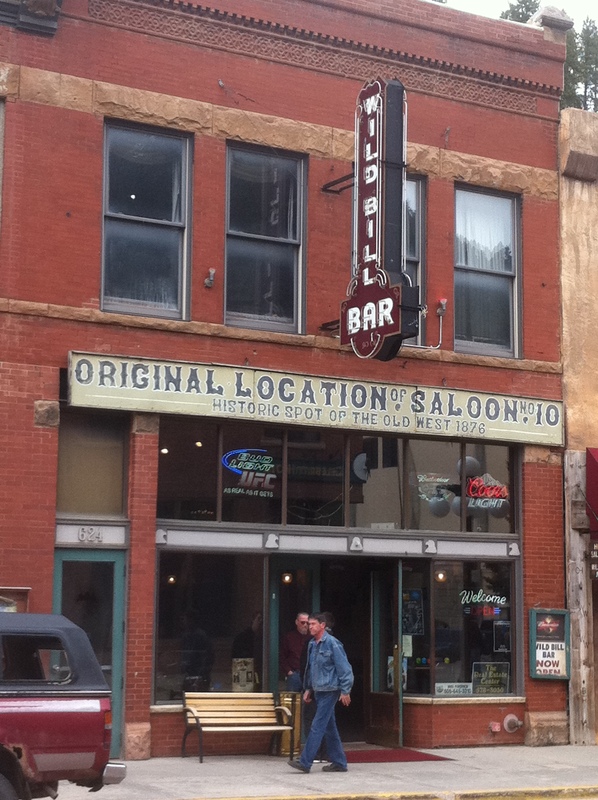 We went to Saloon #10 where Wild Bill Hickock was shot. I bought a tee shirt at the Harley Davidson store. This is what started my downfall of buying tee shirts as souvenirs, but this one was blue and orange so I had to get it. 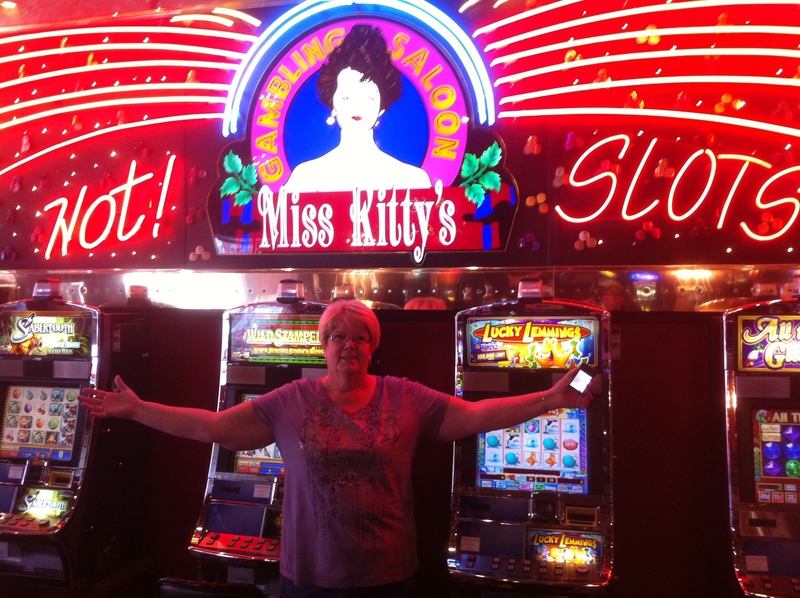 We had lunch at Miss Kitty’s Cantina, which was in Miss Kitty’s Gambling Saloon. 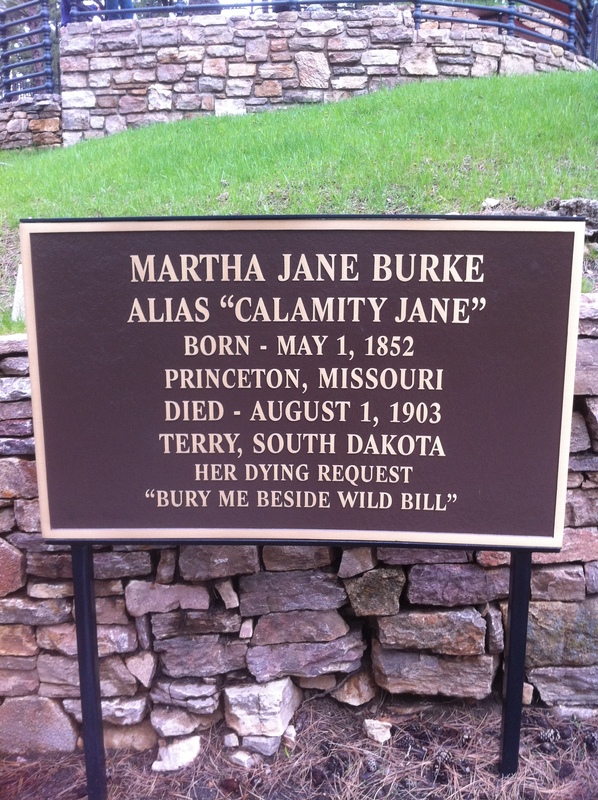 Miss Kitty was the Belle of Deadwood – she also has the same name as my mother. 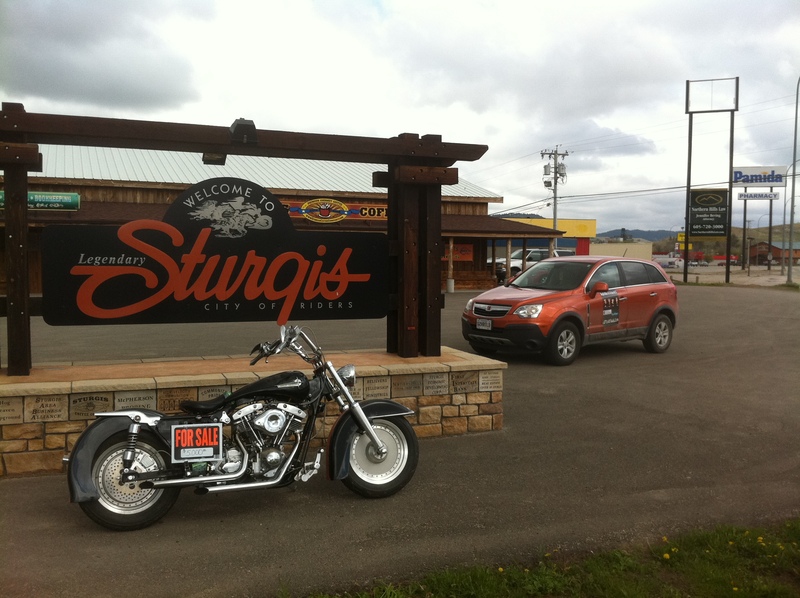 We left Deadwood for Sturgis, which is the destination of the great annual motorcycle rally. It wasn’t much of a town when there is no motorcycle rally. Nothing really there. We went to the Knuckle Bar, and I bought a magnet. We got back to Keystone and again ate dinner at our favorite Ruby’s Brothel. I again had the salmon en croute, and it was again fantastic! We walked around the shops after dinner. I bought a great tourquoise and orange silver ring, which I wore the rest of my trip and it matched the tourquoise in my hat. 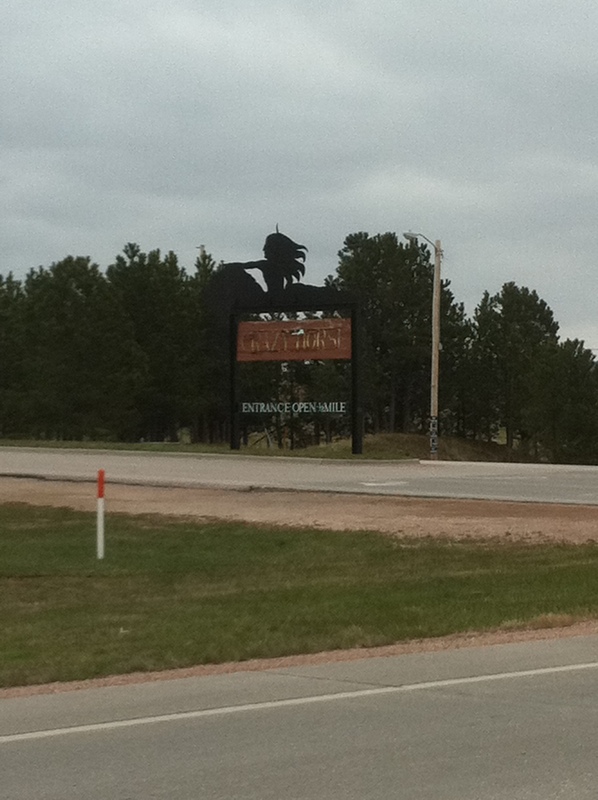 Thursday morning at 8:45am we left Keystone, SD. We drove for ten minutes, the temperature dropped to 32 degrees and it started snowing. 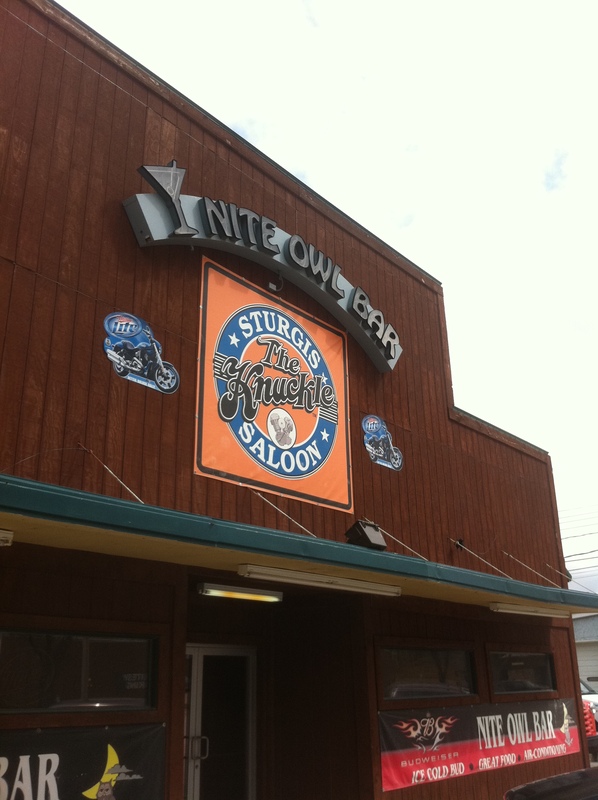 We had lunch in Wheatland, Wyoming at this great little local diner – because mom and aunt pauline can’t eat at subway. 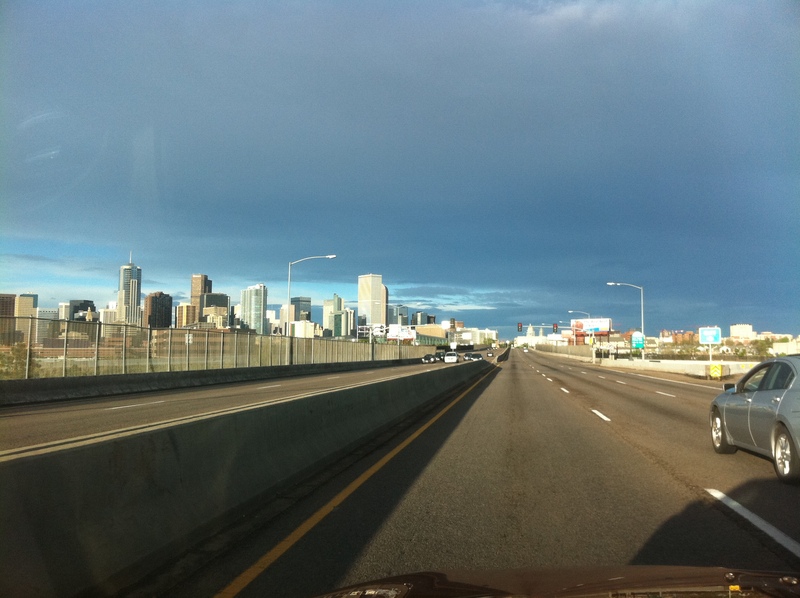 We arrived in Denver, CO 456 miles later around 5:30pm. We went to check Mom and Aunt Pauline into their hotel, but it was gross, so we cancelled it and they came with me. I could see my hotel, but couldn’t figure out how to get to it. It was off the same exit as the stadium, so I pulled into the stadium to ask. 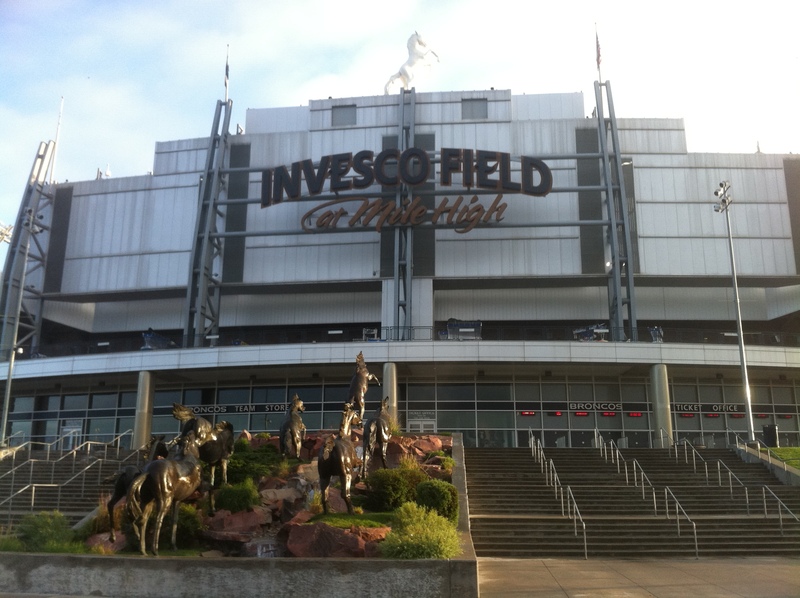 I heard the music from U2’s 1983 Red Rocks concert coming from Invesco Field. 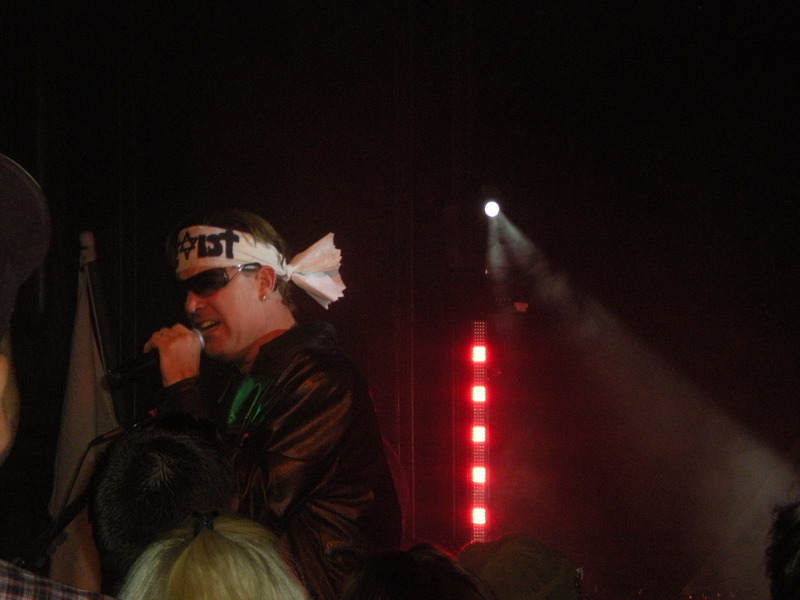 I thought they might play it as U2 walked to the stage on Saturday, but they didn’t. 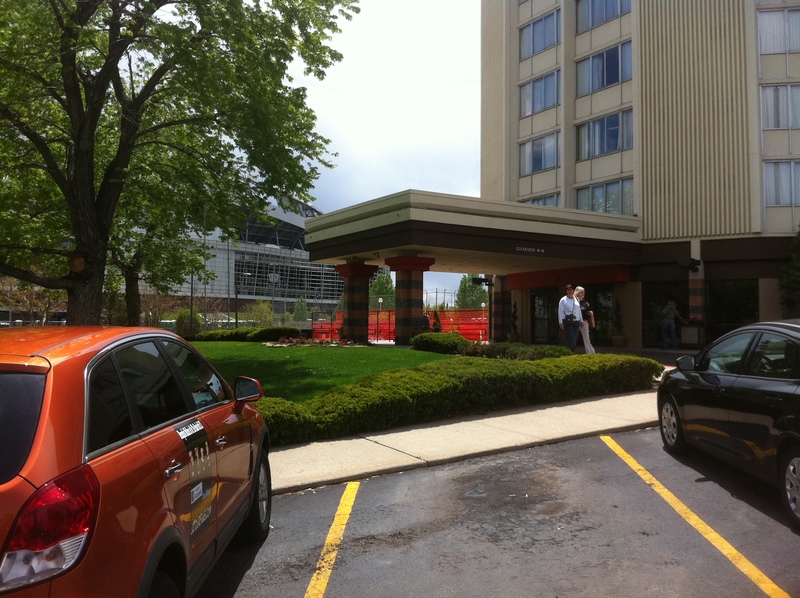 We checked into the really cool, circular, Hotel VQ right next to the stadium – literally the same parking lot. I got out of the car and screamed, scaring both my mom and aunt. I heard the crew soundchecking Zooropa and then as I continued to unpack the car I heard Even Better Than the Real Thing, City of Blinding Lights and Streets. We couldn’t find Mom and Aunt Pauline a room that night, so they stayed with me. It was to be another sleepless night for me, but I didn’t care because the U2 show wasn’t until the day after next. 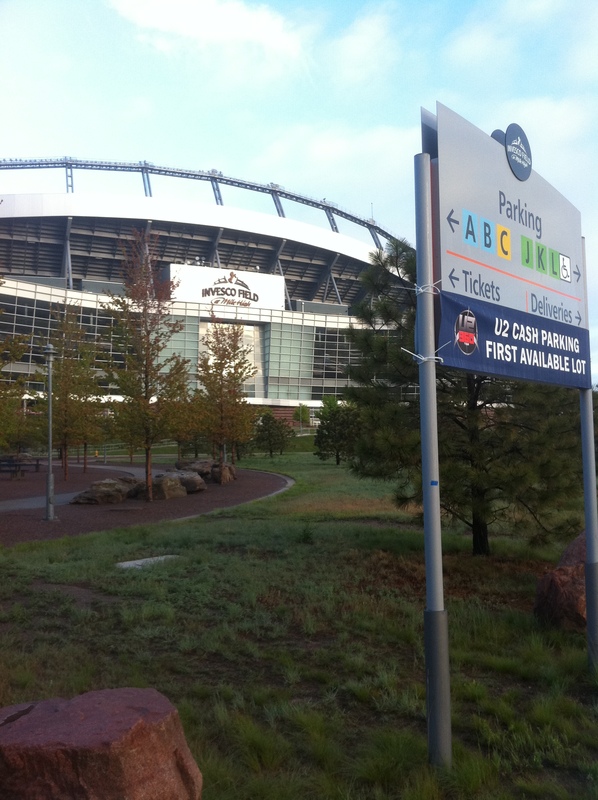 Plus I was in Denver at the stadium where my beloved Broncos play, and it was my first U2 show of this leg of the tour! All was good in the world. Mom and Aunt Pauline went up to the hotel restaurant for dinner and drinks and brought me back something as I was too tired and stinky to go out in public. Because I couldn’t sleep, I took the dogs for a walk around the stadium at 6am. 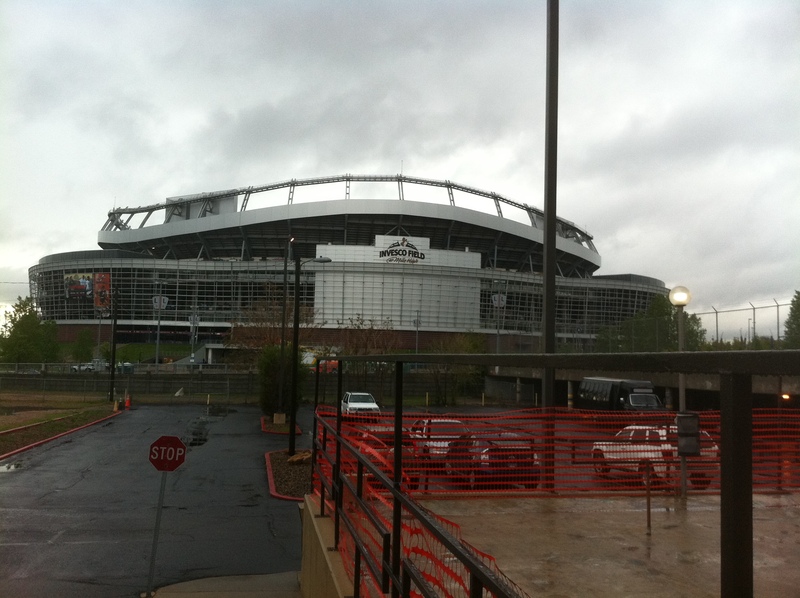 I was SO excited to walk around Mile High stadium where my beloved Denver Broncos play! The GA line had already started – right in front of our hotel. I was not getting in line though. I learned back in 2009 that there was really no point to it for me. Plus I wanted to enjoy Denver and spend time with my mom and aunt. We had breakfast in the hotel restaurant. 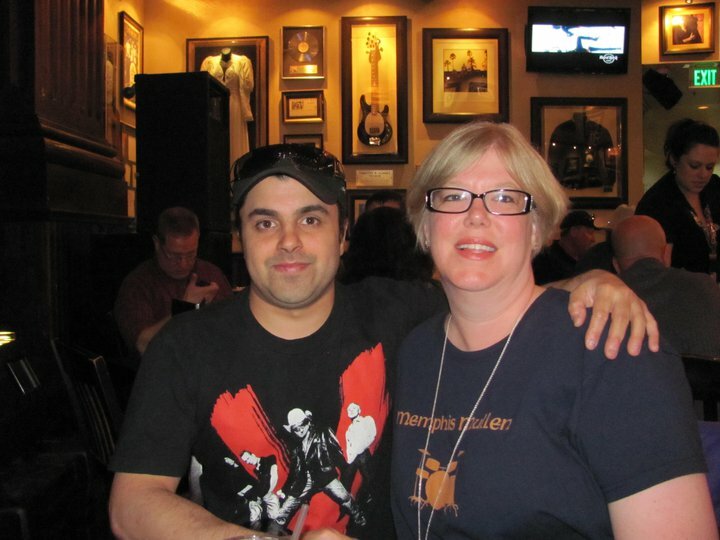 A lady from a radio station in Salt Lake City heard about my trip and wanted to interview me on her radio station. So I called her and she interviewed me on the phone for a few minutes. I never got to hear the interview, but it did air later that day. 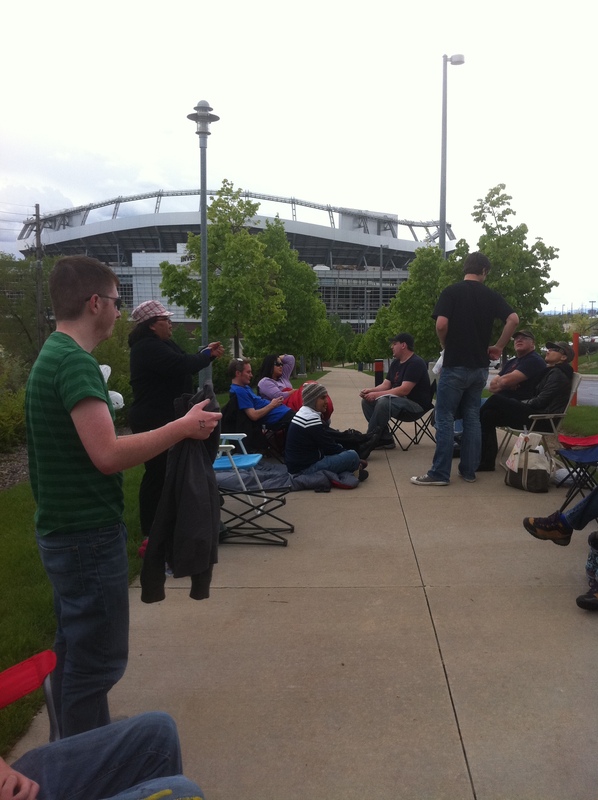 U2 at Mile High stadium! We drove into downtown Denver and checked Mom and Aunt Pauline into a nice hotel that I had booked overnight when I wasn’t sleeping. 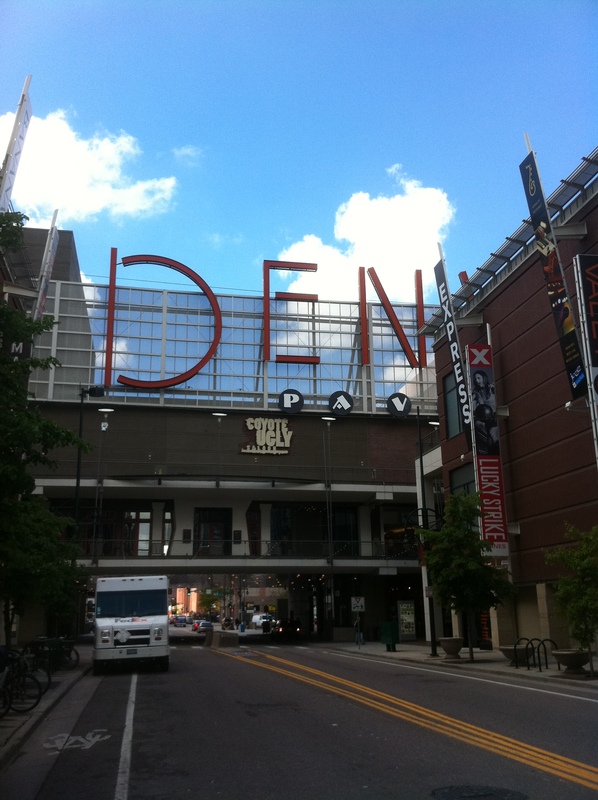 We walked around 16thStreet Mall, which is just a bunch of shops and restaurants. I really love Denver. If it wasn’t so cold there with all that snow, I could live there. We had lunch at the Paramount Café. I went to the Hard Rock to get Dad a pin and noticed all of these people sitting outside. They were U2 fans in line for free tickets. The first 300 people who donated shoes to Soles for Souls got a free ticket to the U2 show. I was to see this again in Seattle and Hollywood. After lunch, Mom and Aunt Pauline continued to walk around Denver while I went back to my hotel. 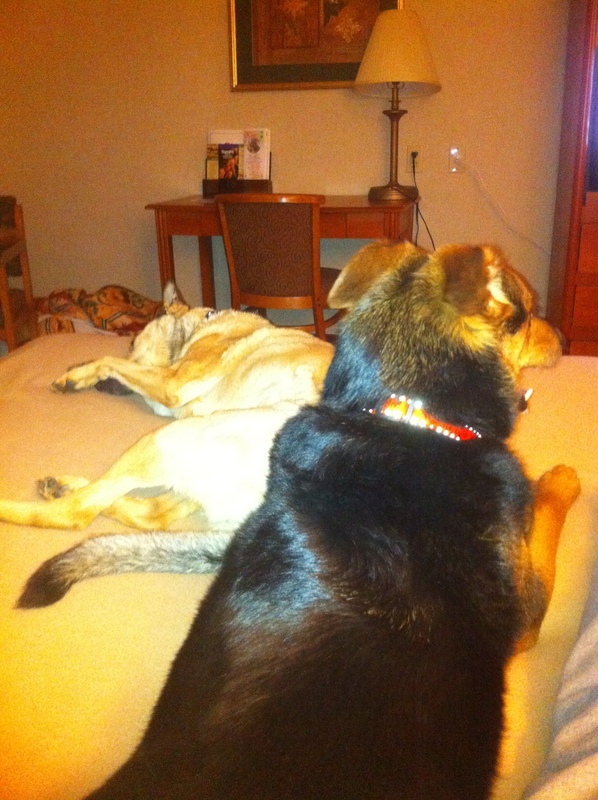 I walked Elvis and Cilla to the GA line, which had moved around the corner from the hotel. Elvis and Cilla had their U2 laminates that I made for them. They weren’t mingling too well with everyone though. This was all very new for them. 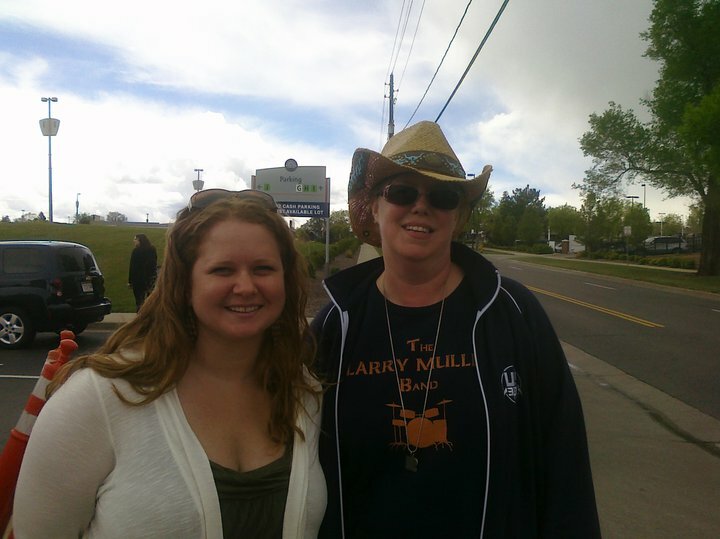 I saw Jennifer and Melissa and met Beth, who became a good friend on 360. 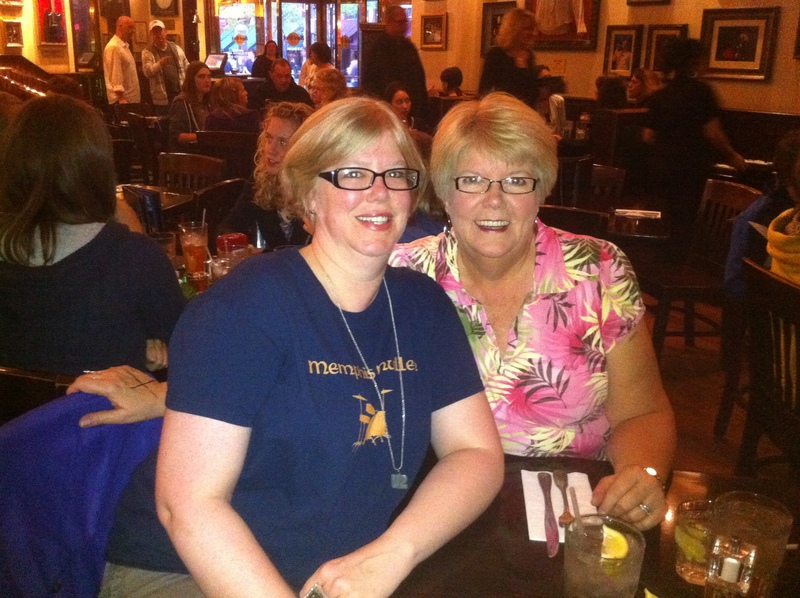 We saw several shows together. I went back to the room to take a nap and do laundry. 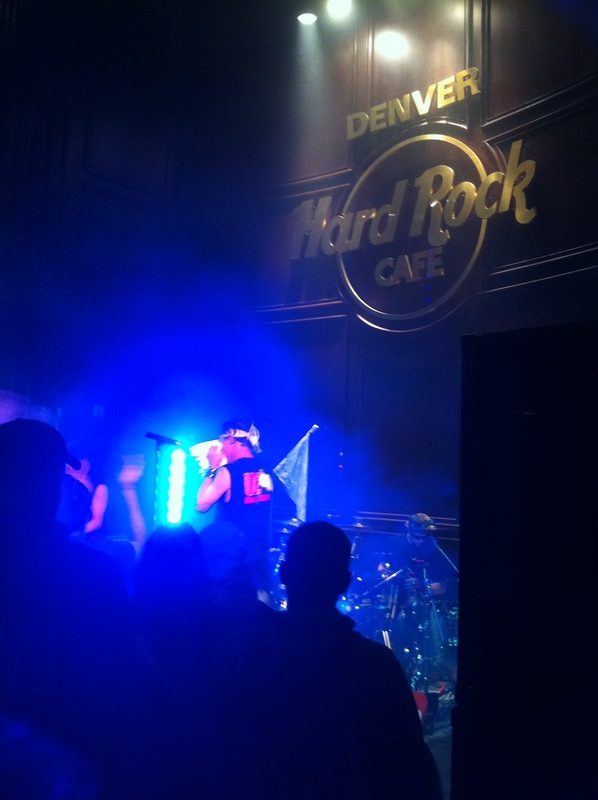 Me and my entourage were left speechless after the Denver show. 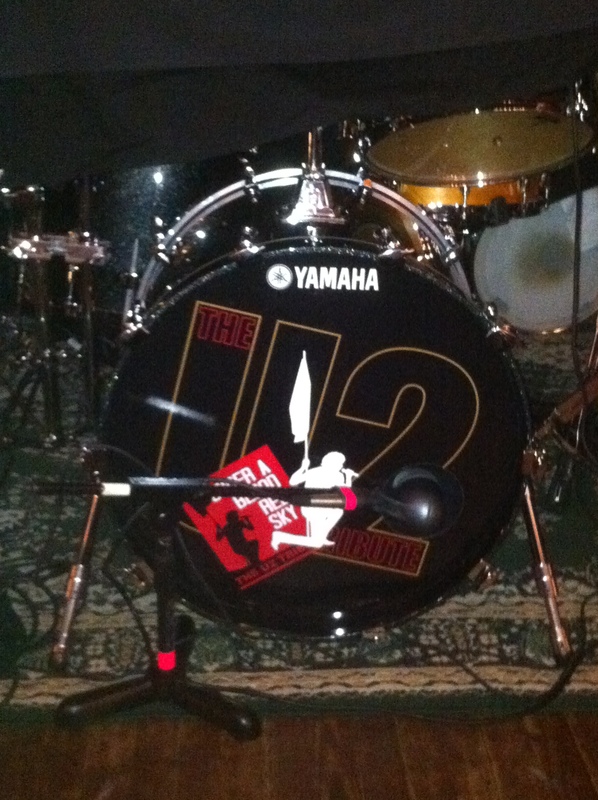 So good to see U2 again after the small break on the tour. Arlington and Norman just wasn’t enough for me (nor my friends). Love your blog friend!